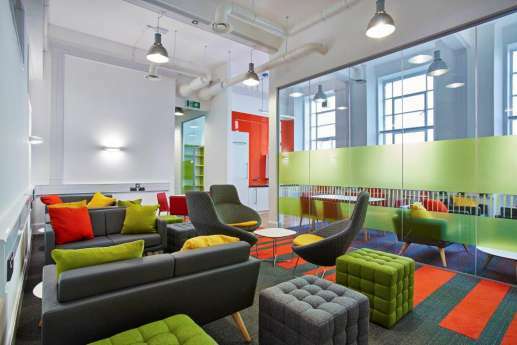 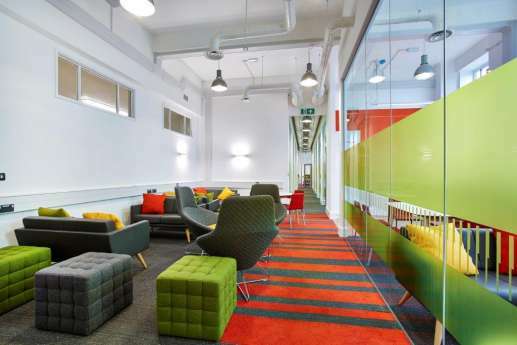 We've worked with Aston University on four high-profile projects – refurbishing their Life and Health Science offices, Café Tierra, a conference space and their basement library fit out. 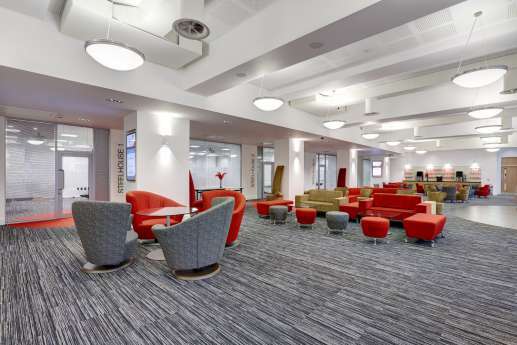 This project involved creating new academic research and post graduate office space for the Biology and Pharmacy departments on part of the fourth floor. 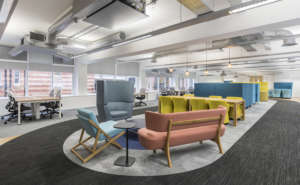 It follows on as part of the ongoing redevelopment of Aston University's main building, providing a new fit out that provides research and postgraduate office space. 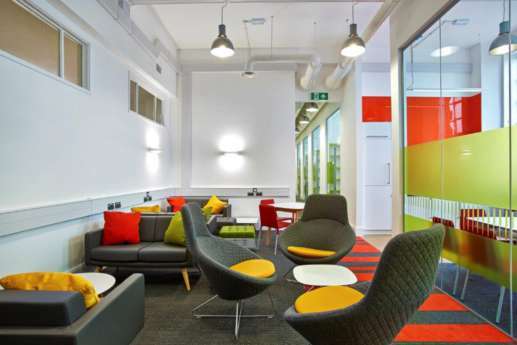 To ensure consistency with the previously refurbished space, the same design specification was carried over into the new LHS offices. 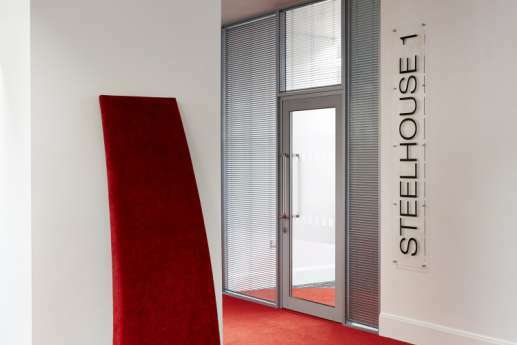 Works included demolishing brick walls, installing new M&E services, forming multiple offices with solid and glazed partitions, and adding new finishes throughout. 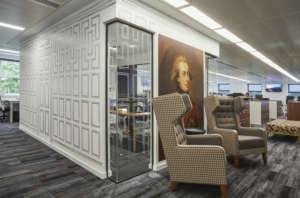 We also provided bespoke shelving units to maximise space and storage in the individual offices. 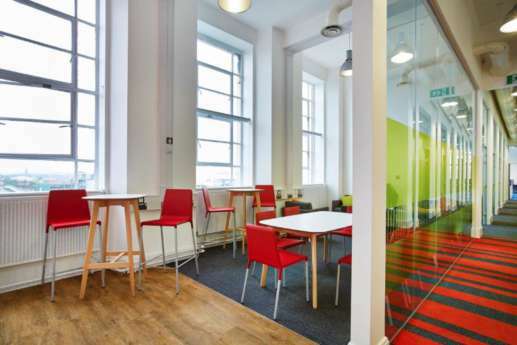 In order to maximise the building's potential and natural light, we installed completely new M&E services and removed the suspended ceiling to allow the full height of the windows to be exposed to the office areas. 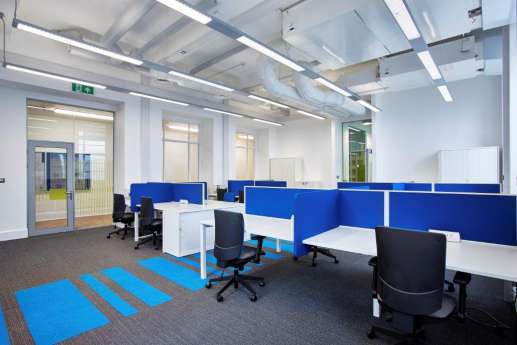 In conjunction with glass partitioning, this allows more natural light to flow across the floor. 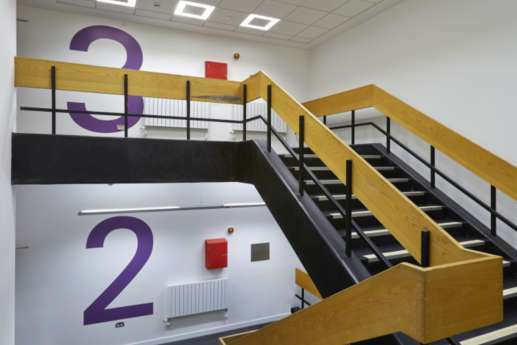 Carrying out the works in an occupied building meant that all deliveries and contractor access was carefully planned and agreed in advance to minimise any disruption or interference with the normal business in the building. 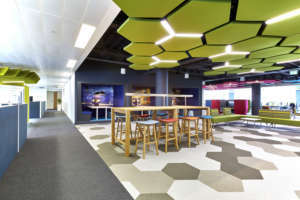 The project was awarded a Gold SKA HE rating in April 2018, highlighting the sustainable and environmental considerations that were built into the project. 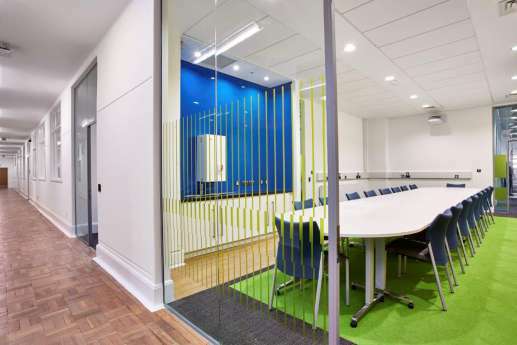 This project involved creating new academic research and post graduate office space for the Biology and Pharmacy departments on part of the fourth floor. 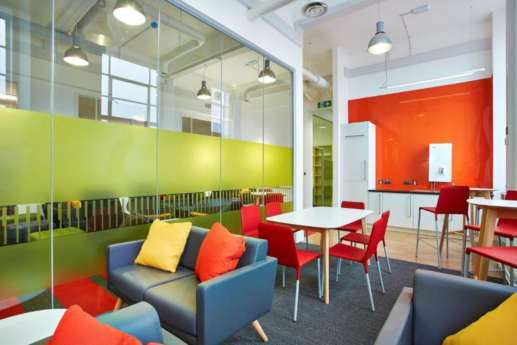 Works included demolishing brick walls, installing new M&E services, forming multiple offices with solid and glazed partitions, and adding new finishes throughout. 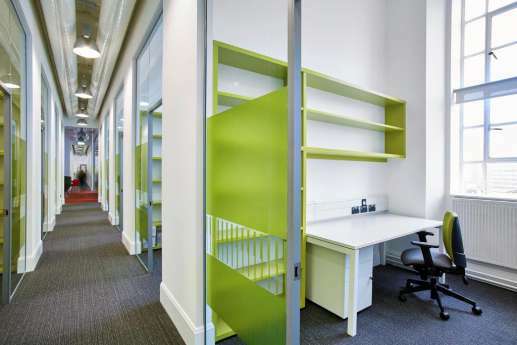 We also provided bespoke shelving units to maximise space and storage in the individual offices. 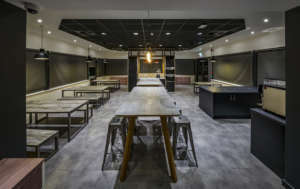 The Café Tierra caters for up to 239 students and visitors, and includes a full commercial kitchen complete with cold room, walk-in freezer, dry store and dish-washing room. 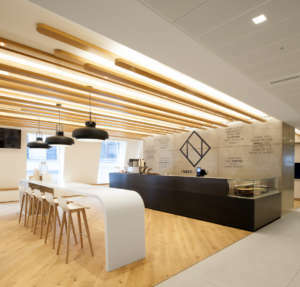 This project also called for new serveries, catering display equipment, bespoke joinery and flooring, new M&E, and piped services. 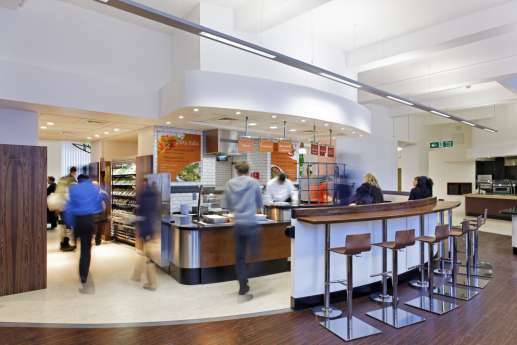 It also includes lots of food outlets, such as Costa Coffee. 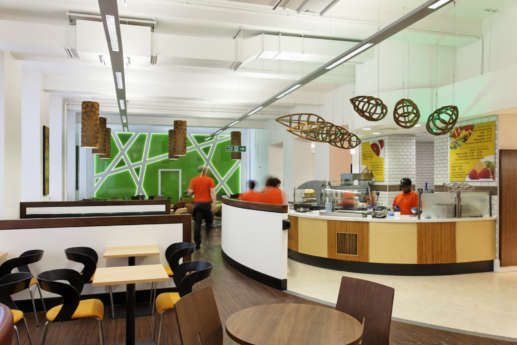 We completed work in time for staff training and cooking trials. 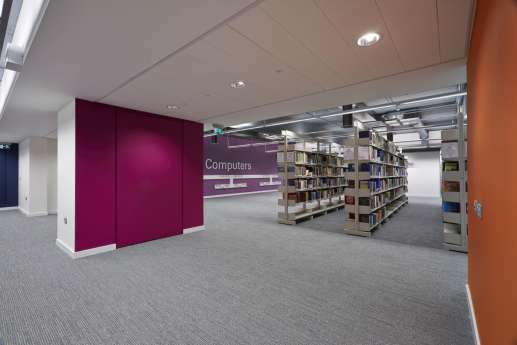 The library fit out of the basement, second and third floors meant stripping everything out, removing major plant items and installing new M&E services. 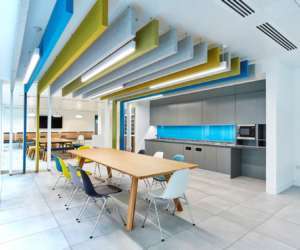 This included fitting solid and glazed partitions, folding walls, suspended ceilings in cellular areas, lighting and new wall and floor finishes. 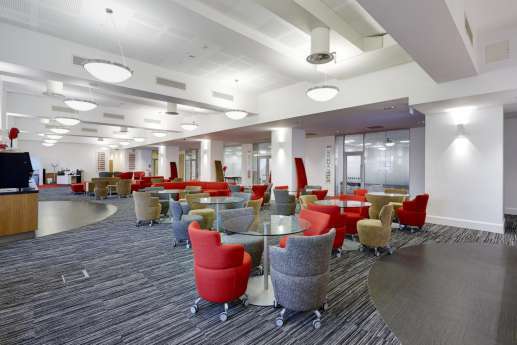 We also stripped out and refitted space to provide a new conference venue for up to 250 delegates. 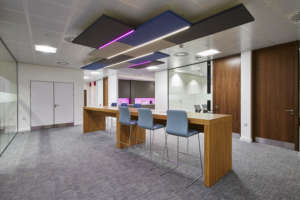 This included eight meeting suites, a reception area, coffee points, and the latest AV equipment and M&E installation. 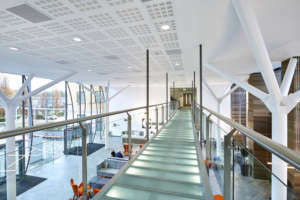 We completed all this with the building open at all times.